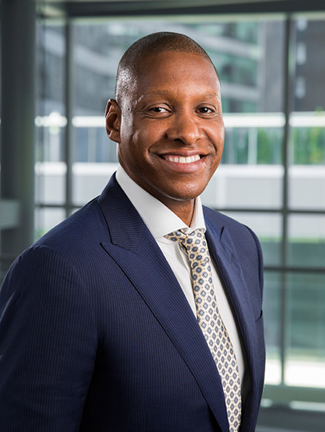 TORONTO – During the grand opening of the BioSteel Centre, Masai Ujiri, president and general manager of the Toronto Raptors guaranteed that an National Basketball Association (NBA) championship would come one day to the city. The brand new practice facility is just one step, he said, in the commitment from team owners Maple Sports and Entertainment (MLSE) in building a championship squad. The BioSteel Centre is a 68,000-square foot training and development facility featuring two full size courts, a locker room with individual monitors above each seating area, a large fitness and weight room, medical and rehabilitation areas, cold and hot tubs, an underwater treadmill and a full service kitchen. But besides the two shiny new basketball courts, that long-awaited NBA championship could come from a first of kind installation from IBM Canada called the War Room. The Raptors War Room sports nine-screens showing data captured from advanced cognitive technology from Watson. “The IBM War Room is unbelievable,” Ujiri said. “The world has become more analytical. We need to collect a lot of data to be successful. And, when you look at the screens and see all the trades coming down and you are not part of them I might want to blame IBM,” he joked. Data analytics is a key part of his current direction for the team. “It’s become a big part of the game today,” he added. Places like the IBM War Room helps the Raptors staff as well as team operations with making good decisions. The process now is in capturing as much data as necessary because Ujiri believes there is insight there to be found. Typically War Rooms in major pro sports leagues such as the NBA, the NHL, Major League Baseball and the NFL utilize these conference style quarters for the annual amateur draft. But Ujiri plans to expand its use for free agency and player comparisons and evaluations. “This facility is changing the dynamics of the sports market,” he said. In behind the big screens at the War Room is IBM’s Sports Insights Central solution. IBM Sports Insights Central was built on the IBM BlueMix cloud development platform. It also has Watson Tradeoff analytics, which is a tool to assess possible roster combinations against a variety of criteria developed by the team. The Raptors War Room will also have a social media aspect to it. Using IBM’s Watson Personality Insights technology, Lacour said it can create fluid profiles of current NBA players. For example, Watson Personality can develop an instant profile on star players Stephan Curry of the Golden State Warriors and LeBron James of the Cleveland Cavaliers. What makes this technology interesting is that these profiles can shift from week-to-week, day-to-day or even game-to-game. The profile on LeBron James can be a positive one based on his Tweets and other social media feeds and then change to negative the next day because his head coach David Blatt got fired. Watson Personality uses linguistic analytics to understand player personality and social characteristics. This type of data, Lacour said, helps a team such as the Raptors on potential trades or gets some understanding on if a certain player can align quickly with the team’s culture. IBM Watson Alchemy API technology can further help analyze public news sources to round out player profiles, he added. Currently Raptors team staff struggled to collaborate with each other on drafting, player development, professional scouting and trade scenarios. The process, according to Lacour, was too manual and got bogged down with paperwork. Ujiri’s objectives to the IBM Interactive team was to push the efficiency agenda and remove the manual process for the team’s depth charts, scouting reports, trade scenarios, player comparisons along with bring into more analytical data. “Before the War Room, the team analyzed its depth chart through colour coded magnets on a whiteboard. Now the depth chart will be the centre of the War Room. And, that same depth chart will be on display throughout the nine screens,” Lacour said. Microsoft Excel was a big part of manual process for the Raptors staff. Lacour said that team officials used Excel extensively for many tasks. However, the Excel spreadsheet was not user friendly on a mobile phone, team officials found it hard to share Excel files and could not collaborate on ranking players inside the software program. Lacour said the Raptors plan to still use Excel but with the IBM Sports Insights Central solution that same spreadsheet becomes more dynamic. It can be viewed on a mobile phone, shared and the officials now have the ability to rank players. IBM Sports Insights Central will also dramatically reduce paperwork. Lacour called the BioSteel installation a large enterprise project, but said that this solution can be scaled down to one screen or a two-to-three screen set up for an SMB customer. IBM Interactive worked with just one partner in the development of the Raptors’ War Room: MultiTouch Inc., an interactive display manufacturer based in Helsinki, Finland whose flagship product is called MultiTaction. MultiTaction is multi-user touch display solution that can handle many touches on its screens. Lacour wanted to work with MultiTouch because the solution brings about a large canvas experience.